OCTOCAM’s near-infrared optical bench. 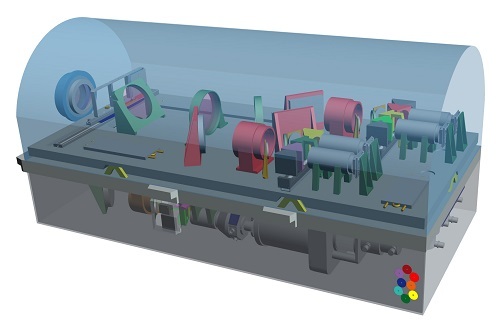 The near-infrared section is cryogenically cooled in a vacuum to operate at a temperature below 80 Kelvin. OCTOCAM’s visible optical bench. The visible section is kept at about the temperature of the outside telescope environment. 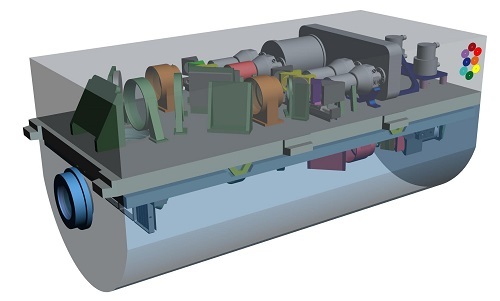 Gemini Observatory announces the development of a major new facility-class broadband optical and near-infrared imager and spectrograph named OCTOCAM. The power of the instrument comes from its ability to simultaneously observe over an extremely wide swath of the optical and infrared spectrum. It is expected that when the instrument begins commissioning and observations in 2022 it will serve as an ideal complement to the discoveries made with the Large Synoptic Survey Telescope (LSST) by providing rapid follow-up capabilities. Once completed the instrument is slated for installation on the 8-meter Gemini South telescope which is located adjacent to the current construction site of the LSST on Cerro Pachón in Chile. In late March the Association of Universities for Research in Astronomy (AURA, which operates Gemini on behalf of the NSF) and the Southwest Research Institute (SwRI) signed a contract to build and commission the instrument. With the contract signed work began immediately on the conceptual design of the instrument. Please see SwRI press release here. “OCTOCAM has been designed to revolutionize the research in many fields of astrophysics. To achieve this, a large, international group of scientists determined the key science questions to be addressed in the coming decade and those were used subsequently to define the technical characteristics that will allow OCTOCAM to answer them,” says Antonio de Ugarte Postigo, scientist at the Instituto de Astrofísica of Andalucía (IAA-CSIC) in Granada, Spain and principal investigator of the project. “We look forward to a work that will involve the full scientific community of Gemini. OCTOCAM will open a new window of research by occupying a region in the spectral coverage-spectral resolution-time resolution diagram not covered by any other instrument in the world,” says Christina Thöne, scientist at IAA, Granada and Deputy Project Manager of OCTOCAM. Please visit OCTOCAM page for the list of team members and more.